The Mexican hinted after a winning light-heavyweight debut at the weekend that his future belongs in the bigger 175lb division. 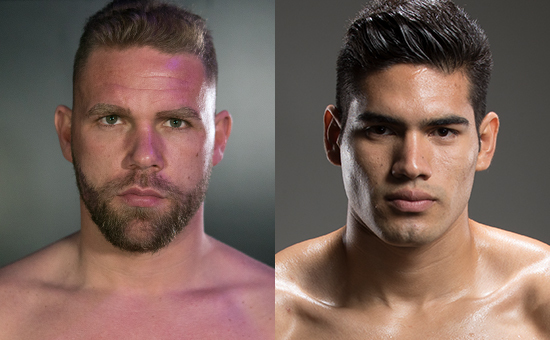 Saunders (27-0,13 KOs) faces German based Albanian Shefat Isufi (27-3-2, 20 KOs) at Stevenage’s Lamex Stadium on Saturday May 18, live on BT Sport for the WBO interim super-middleweight crown. Ramirez will be ordered to face the winner, unless he relinquishes the title he has held for three years. If he does hand back his crown, the Saunders v Isufi fight is likely to be elevated to full world title status. Former unbeaten WBO middleweight champion Saunders snapped: “I am raring to go for Ramirez, but if he doesn’t want to face me then give up the title and let me fight for the full championship. “If it’s not going to happen against me after my ‘interim’ title fight then I would rather him say, now. “He has said he can make 12 stone for Callum Smith so I don’t see the problem with myself. If he can make 12 stone for Callum, he can make 12 stone for me. “Personally myself, I don’t think Ramirez will go ducking anybody, but unless he 100 per-cent knows he’s good at the weight I can’t see him taking the chance of fighting me. Saunders cannot wait to appear at a stadium just 12 miles from his Hatfield home. And although less than half of his wins have come inside the distance, Saunders reckons the open air crowd at the Lamex Stadium are in for a knockout night. Saunders who is currently training in Manchester added: “I will carry more power up with me. We have been working on a few bits and bobs to improve my power.